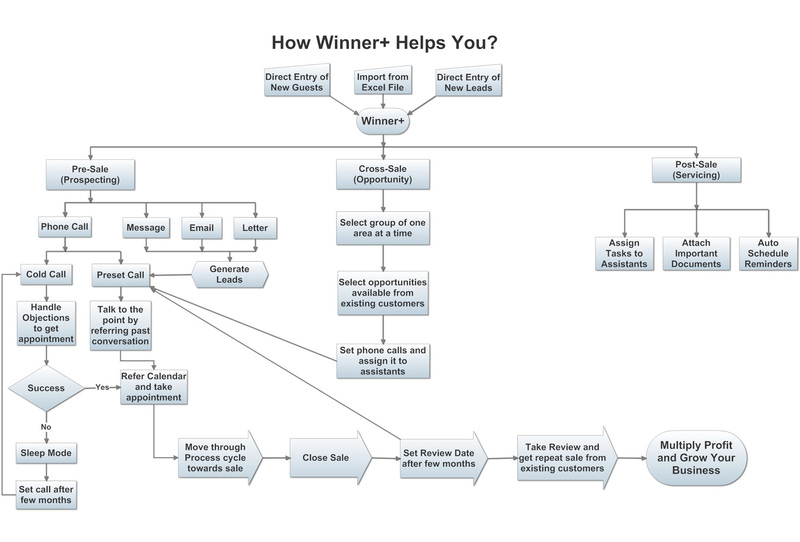 How to use Winner+ taking into consideration practical needs for Pre-Sale, Cross-Sale & Post-Sale? 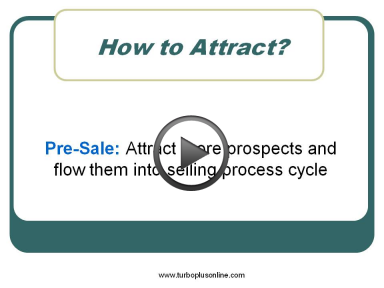 How to Attract more prospects & flow them into selling process cycle automatically till closing? 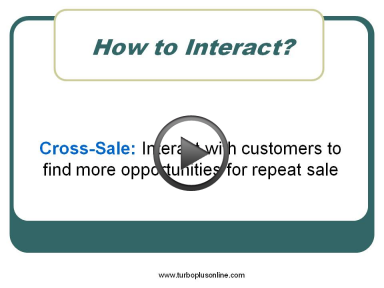 How to Interact with customers to find more opportunities for cross-selling again & again & again...? How to Transact with existing clients for recurring servicing tasks till maturity automatically? Welcome to the world of winners. 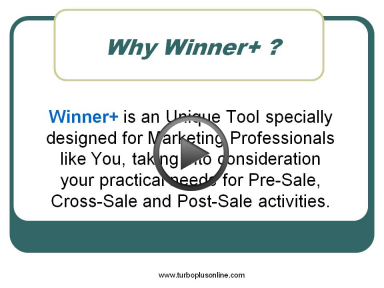 This unique tool helps you to identify marketing opportunities. Being more effective in follow-up boost your sale tremendously. Manage your servicing tasks automatically till maturity. Keep detailed case history to solve grievances in future. 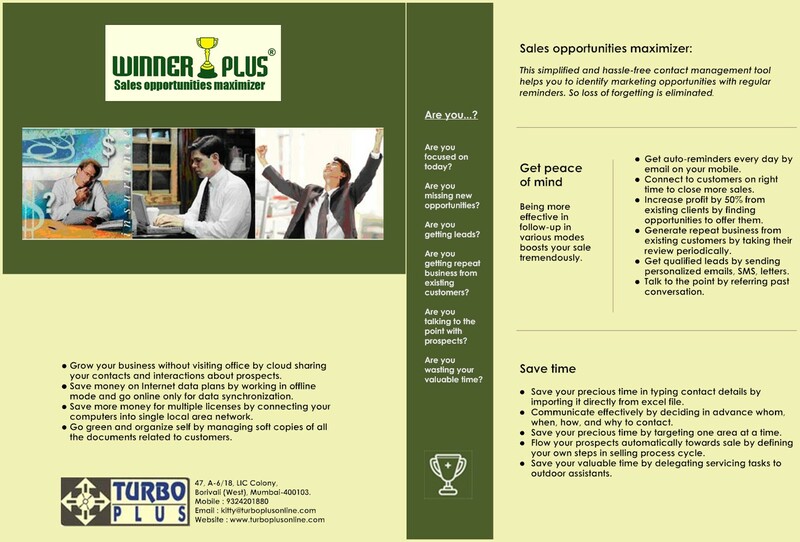 Generate repeat business to increase profit by cross-selling and periodical review. Get qualified leads by sending personalized emails, messages and letters. Focus on today by getting auto-reminder emails every day. Talk to the point by referring past conversation. Be part of the Winners' world!